Calling all beer snobs! Calling all beer snobs! Louisville Craft Beer Week is underway! Don’t worry if you’re just finding out, there are plenty of beer-centered events still to come. Now through September 29th, restaurants, bars, and pretty much anyone in the city that is able to serve alcohol, is celebrating the art that is craft beer. Louisville has a reputation for being a city of bourbon lovers, and rightly so in fact. Our city is steeped in bourbon history, being part of both the bourbon and urban bourbon trails. In recent years however, craft beers, micro-breweries, and organic brewhouses have become exceedingly popular among Louisvillians and are sneaking up the preferential totem pole. The past several years have unveiled a slow emergence of availability of these unique brews, followed with a high supply and demand. This has lead to the popular niche market of craft beer in our community. With the opening of a variety of beer stores, bars, and restaurants that carry these specific beers, Louisvillians have finally been able to open their minds, palates, and hearts to what is craft beer. “Craft beer” is defined as a beer brewed by a small, independent, and traditional brewer. Although those three words are wide open for interpretation, the general idea is pretty clear. Small means under 2,000,000 barrels per year, independent means that no larger than 25% of the company can be owned by big business (like Coors, Miller, or A-B), and traditional means that it’s an “all malt flagship” not using corn or rice to lighten body and increase mass appeal like the big dogs. If you are on either side of the spectrum, either you are a master cicerones or know nothing about craft beer but just want to try some out, this week’s Craft Week will have something for you. Each night of the week, there are just under ten places to go with craft beer and food pairing specials. One of my favorites for tonight, Wednesday September 26th, is Rocky’s Sub Pub’s Indiana vs. Kentucky Tap Off. Rocky’s across the river in Indiana has amazing views of downtown Louisville as well as great Italian eats. The restaurant and pub has put together a dueling list of both Bluegrass and Hoosier Ales to go head to head against each other for a battle of Kantuckiana. Some of the featured Kentucky Ales will be BBC-Zin Saison- Funky Saison ages in Zinfandel barrels, BBC- Boubon barrel Stout Falls City- English Pale Ale Kentucky Ale-Bourbon Barrel Ale-IPA (New Release) Against the Grain-Kottbusser-German Ale with oats, molasses, and honey. Beers from Indiana include- New Albanian Hoosier Daddy-Crimson and Cream Ale Three Floyds Risgoop-Mikkeller Collaberation-Bareleywine Flat12 Moustache Ride-Bourbon Barrel Aged Vanilla Amber Sun King- Grapefruit Jungle- India Pale Ale Sun King-3-Anniversary Ale-Hoppy Black Alt Great Crescent Brewrey-Bourbon Barrel Stout Aged in Woodford Barrels. Thursday night I have to mention one of my favorite events, Pint Night at Mid City Mall Valu Market. I think the idea of drinking beer while grocery shopping makes the tedious task unbelievably better. Thursday night from 4pm-7pm you can drink and shop at the same time and keep your pint glass for $3.00. Scott Shreffler and Phil Dearner (Aka BeerPimp) will be sampling their beers for $.25 a taste. Fill your own growler too for only $6.00 with select varieties of BBC and Schlafly beers. Friday night Westport Whiskey and Wine will be hosting an outdoor event at Westport Village to celebrate Craft Beer Week. From 6pm-9pm you can taste beers from 6 local breweries, get delicious food from some local food trucks and enjoy some live music. To close out the week, I suggest going on Saturday to the Germantown Shotgun Fest. From 2pm-11pm the Nachbar will host a drinking in the street event with food trucks, Flea Off shops, community awareness booths, and of course a lot of good beer. These are only a few of the great events going on for Craft Beer Week. For a full list of everything going on, go to http://louisvillebeer.com/calendar. There is so much art being made in our city right now that I have to let you in on all that you could be missing. It is pretty amazing that at any given time in Louisville these days, there will be three or more plays being put on by one of the many successful theatre companies, a concert or music event just around the corner, and a variety of art exhibits showcasing local artists’ work. Who would think that Louisville, Kentucky of all places would have become such a cutting edge and flourishing arts town, but it surely has. This week there are a variety of plays going on in Louisville. With National touring musicals coming through the city, to community theatre productions that are getting a lot of buzz, there will be something for everyone’s taste and budget. The popular hit musical Wicked is rolling through Louisville beginning this week and Louisville audiences couldn’t be more excited. The story takes a twist on the Wizard of Oz’s two battling witches, the Wicked Witch of the West and Glenda, the Good Witch. Wicked runs now through September 30th. Wicked will be performed at the Kentucky Center for the Arts and tickets start at $96.00 and go up from there. For more information on showtimes or any other questions about Wicked, go to http://www.wickedlouisville.com. Romeo and Juliet, at Actors Theatre of Louisville is getting great reviews. Director Tony Speciale sets the Shakespeare play in an affluent California suburb in modern time. Contemporary issues of the day add another layer to Romeo and Juliet’s already complicated love. The cast along with the choices made by the director make this version of the classic brand new. Romeo and Juliet runs now through September 26 and tickets start at $51.00. For more information, or for tickets, go to actorstheatre.org. Next To Normal at CenterStage Theatre is creating a lot of buzz around town. While eating breakfast at Toast the other morning I heard the table next to me discussing the intensity of the show and how much they enjoyed it. Next To Normal is a Pulitzer Prize winning musical whose music and lyrics by Tom Kitt and BrianYorkey provide the perfect mix of humor and humility. Next to Normal tells the story of a family dealing with the harsh realities of a Bi-Polar matriarch. Next to Normal runs through September 16th and tickets are $18 in advance and $20 the day of. For more information go to jewishlouisville.com/centerstage. Pandora Productions is opening up it’s season with Kiss of the Spiderwoman. This Tony Award Winning musical tells the love story of two cellmates in a Latin-American prison. “Kiss” opens September 13th and runs through September 22nd and tickets are $20. For more information go to pandoraprods.com. Time Flies is taking audiences on a trip through past, present, and future. Lepetomane’s play about time travel is running now through September 16th at the Bard’s Town and tickets start at $8. For more information and showtimes go to lepetomane.org. We have so many excellent theatre troupes in town and this week is a great time to get out and support them. Some great plays are running right now, so you don’t want to miss them! You can learn more about the area at Louisville Real Estate. After hearing about the numerous accolades and awards the new restaurant Harvest has been given since it’s recent opening in the foodie neighborhood of NuLu, my husband and I have been dying to go. Not only was I interested in dining in a restaurant that other people thought was great, but Harvest’s mission and menu was something I not only believed in but could not wait to see how it came to life. Harvest is all about “outstanding, regionally inspired, seasonal cuisine from the freshest and finest local produce, in a casual dining setting.” This was what Harvest aimed for, and this was exactly what they gave me. Harvest was all about a comfortable, warm, and welcoming atmosphere. The organic wood textiles and photographs of the farmers on the walls inside the restaurant made me feel like I was part of something, part of the food. I was included in the story of where my food was coming from and what I was eating, and that made my dining experience that much more special. Everything I ate was spectacular in that I could taste the ingredients. So often the produce is muddled by sauces, herbs, or butter, but at Harvest I could taste every flavor. We started out with the roasted garlic-chard hummus with pretzel crostini. A true “appetizer” the chard in the hummus was an unexpected earthy flavor, tasting more like a vegetarian pate then a hummus. Several pickled vegetables complemented the plate and awakened my palate with a powerful punch in my mouth. Next on the menu was my salad of bibb lettuce, oven-dried tomatoes, smoked bacon, asiago breadstick, and basil vinaigrette. This was the perfect salad, and I don’t say that lightly. The first thing I tasted was the lettuce, which ironically, you so rarely taste in a salad! There was just the right amount of dressing and a little crunch from the bacon and tomatoes added some contrast. The salad was simple and full of flavor. For my main course I wanted to order a dish that would let the restaurant’s mission shine. The buttermilk fried chicken, pesto hoecake, peppercorn gravy, and beet hot sauce was delectable. The hot and crispy fried chicken came piled atop the large hoecake that was light and moist and when all the dish’s elements were eaten together it was positively perfect. This dish was just how I had hoped it would be; comfort food executed so well, with such incredible flavors that it is taken to another level. For dessert we ordered the apple pie. If I hadn’t eaten a similar rhubarb pie a few weeks earlier that stole my heart, this pie would have been wonderful, but instead it fell to my previous dessert. The food at Harvest was amazing, but the service, although extremely amicable, could do with some tweaking. All the employees that we encountered from the moment we entered Harvest were friendly and helpful. The problem was with the communication between the kitchen and front of house. Our cocktails came after our appetizer, our salads came before we finished our appetizer. The restaurant was half empty and it felt like the kitchen was rushing us out of there. It ended up slowing down after I refused to eat my salad until I finished my appetizer. Harvest’s minor indiscretions were heavily outweighed by the amazing food and excellent atmosphere. I couldn’t recommend it any higher. It’s that time of the year again, when local business owners learn their rank after curiously awaiting their fates. The Louisville Eccentric Observer’s Reader’s Choice Awards in one of the city’s most popular and well regarded surveys, including over 30,000 Louisvillian votes. I just went through all of the winners and I have to say I am pretty disappointed with several of my fellow voters’ choices. Like every year, some of the winners were suspected, but there were several major players that were left out of their categories, some winners that have no business in their categories, and a few winners that just left me baffled. The Brown Hotel invented the delicious Hot Brown, so if it didn’t win the “Best Hot Brown“ category, the Reader‘s Choice Awards would be severely flawed. BC Plumbing sweeps the “Best Plumber” category every year so that was expected, and Heine Brothers is both a local business and on every corner now-a-days, so it was the clear winner in the “Best Coffee” category. Other categories however, left me stunned at the lack of inclusion of what I considered to be the obvious top choices. How do you not include Cherokee Park in the top three best parks in Louisville? El Mundo wasn’t recognized for “Best Mexican Restaurant” and Azalea was recognized over Avalon as “A Restaurant you Wished Didn’t Go Out of Business.” Maybe it is just me, but I do not find Pat’s Steakhouse romantic whatsoever, delicious, but not romantic. When I saw it in the “Most Romantic Restaurant” category I was in disbelief. I immediately felt bad for the poor schmuck who saw the category in the LEO and decided to take a date there expecting one thing and getting another. I understand that there are a lot of choices in restaurants, goods, and services in Louisville and that the LEO reaches a wide range of Louisvillians, but it seems to me that the majority of voters that turned out this year may have been out of tough with my personal tastes. To have one of the winners in the “Best Take Out Food” category be Yankee Noodle from Oxmoor Mall, says a lot. This is one of the wonderful things about the LEO Reader’s Choice Awards, that you never know who is going to vote, and who is going to win. Unfortunately, when people vote on favorite businesses, and those businesses can gain customers from what seems like something that is just for fun, fowl play often ensues. I heard through sources during last years choice awards that one business in particular had rigged their computer to vote for themselves several hundred times every day. That business ended up placing in their category without any suspicion. This year however, I came across news that that several thousands of the votes had to be thrown out due to similar fowl play. LEO is certain however that this years winners are free and clear of any wrong doing. I don’t mean to be so negative about the LEO Reader’s Choice Awards, I really do find it interesting and helpful when looking for new places to go. Grab a LEO and check it out for yourself, you may completely disagree with my findings, that’s the beauty of “choice”. One of the countless things I love about living in Louisville is that on any given day I can be driving or walking and turn a corner, only to run into one of many neighborhood festivals. Coming upon a street filled with people and tents when I didn’t expect to, reinvigorates my love of community. Louisville is a city of communities and neighborhoods. Each major community is complete with several neighborhoods, each with their own individual distinctions and whose residents are filled with neighborhood pride. This weekend, one of Louisville’s Highlands’ neighborhoods is hosting a one-day festival. The Irish Hill neighborhood will host RootsFest this Saturday, September 15th. RootsFest will feature music, arts and crafts, and delicious food. In addition to local artists featuring their work, there will be some special guests at RootsFest for the Kids and as part of the non-profit fair. All day there will be a special kids craft booth headed by artist Aerie Meredith complete with plenty of exciting things to keep your kids busy. Starting at 12:30pm Walden Theatre, which is an Irish Hill neighbor, will be performing Guerilla Theatre. If you are interested in learning about providing safe drinking water for developing countries, WaterStep will be teaching about safe drinking water for our planet and how you can get involved. Music will be going on all day long at RootsFest. The entertainment beginnings at 11am with the local blues band, Louisville Blues & The Blues Chasers. At 1:30pm The Bluegrass Messengers go on stage with their rendition of the blues followed by Appaltin at 2:30pm with their Appalachian-Latin fusion music. If you are anything like me, the thing you look forward to the most at festivals is the food. At RootsFest, food will be provided by Gary’s on Spring, and plenty of hot vittles, craft beer and “delicious libations” will be available. A Four Roses bourbon tasting is also on the list of events for the day. All proceeds for RootsFest will go to WaterStep, formally Edge Outreach. It’s great to know that not only can you have a wonderful time with your community, but when you do at RootsFest, it’s funds go to a good cause. Irish Hill is located in the Highlands, bound by Baxter Avenue to the West, Lexington Road to the North, Middle Fork at Beargrass Creek and I-64 to the East, and Cave Hill Cemetery to the South. Irish Hill is a neighborhood that holds a place between two communities; the Highlands and Clifton, getting the best of both communities. Within walking distance to both Frankfort Avenue and Bardstown Road, the Shotgun Houses of Irish Hill make up both a convenient and comfortable neighborhood. Irish Hill is filled with history as well. Home to the Distillery Commons, which was once the Old Kentucky Distillery, the largest distillery in the World of its time, and several historic homes, Irish Hill’s historic relevance makes it a unique place to call home. I strongly suggest going out and supporting the Irish Hill neighborhood’s first ever RootsFest. RootsFest is going to provide some great music, food, and fun, so get out and enjoy the beautiful weather! Residents of Jeffersontown have been looking forward to this week’s annual celebration for a while now. Jtown’s beloved Gaslight Festival began in 1969 and has since become the fifth largest festival in the area. A balloon glow, 5k run, parade, live entertainment, and over 140 booths are all part of the festival. So far this week a Thunder Motorcycle Rally, Gaslight Golf Scramble, and the 5K Walk/Run have taken place as part of the festivities. Don’t worry however if you are just getting clued in to all that Gaslight has to offer, there is much more to come later in the week. Wednesday is Business Appreciation Day, Thursday is the Gaslight Festival Parade, Friday is the Balloon Glow, and Sunday is the Gaslight Car Show. Running the entire weekend, Friday through Sunday, is an Arts Crafts Extravaganza and Entertainment Garden, and A Soap Box Derby will be Saturday and Sunday. The Gaslight Festival has been bringing the Jeffersontown community together with fun and entertainment for the past 43 years. Jeffersontown, Kentucky is the second largest city in Jefferson County and home to the Bluegrass Industrial Park, the third largest employer in the State. Originally a close knit community of dirt roads and mom and pop shops, Jeffersontown was established in the mid 1700’s and was filled with stonecutters, saddlers, and craftsmen. In the late 1800’s the first road was put down in the City and in 1904 the Electric Railway, or Interurban, established a route from Jeffersontown to Louisville’s Public Square, creating progress and development opportunities to the neighborhood. The 1950’s brought tremendous growth to the Jeffersontown community. With the opening of General Electric’s Appliance Park and the new interchange at I-64, residents were moving to the Jeffersontown area in large quantities. Jeffersontown is still growing today, and is one of the areas in Louisville with the most ongoing development. Gaslight Arts and Crafts Extravaganza: over 140 artists from all over the country have traveled to show their art. Jeffersontown’s Gaslight Festival has become a time honored tradition for the community. Even if you are not a member of the Jtown neighborhood, there will be plenty of great entertainment, food, and art for everyone’s tastes that should get you off your couch this weekend and outside enjoying the beautiful weather. For more information on the Gaslight Festival check out the Jeffersontown Chamber of Commerce’s website at http://www.jtownchamber.com/gaslightfestival.aspx. Norton Commons is one of Louisville’s newest and most unique neighborhoods and is a community that emphasizes convenience. More than a typical subdivision, Norton Commons, is the first project built under Jefferson County’s new “Planned Village Development” ordinance. Established in 2004, Norton Commons encompasses 600 acres, 150 which of are parks, and includes countless amenities. Although Norton Commons is a new construction development, homes built in the neighborhood are built in classic styles including Foursquare Arts and Crafts, Italianate Cottage, Greek Revival, and Spice styles. Norton Commons has ongoing events, most of which are open to the public. This September, Norton Commons is offering the public two great events, that will cover a variety of your needs. Friday, September 14th is Norton Commons’ “Movie on the Lawn.” Geared towards families, the movie featured will be Happy Feet 2. The film will be shown in the Town Center, and everyone is encouraged to bring their own seating, munchies and blankets to curl up for a free night of movie-watching as a community. Mark your calendars now for Norton Commons Charity Homes Celebration at the end of the month. September 29th through October 14th you can tour thirteen newly built and decorated homes at Norton Commons, created just for this event. Each house benefit’s a particular charity so touring the homes will not only benefit you, but will benefit others as well. Seven homes are still available to be purchased, so if you are in the market for a new house, keep that in mind. The tour’s hours will be each Wednesday and Friday from 4:00pm- 8:00pm and Saturday and Sunday from 12:00pm-6:00pm. Whether you are visiting Norton Commons for one of September’s events, or just going to visit a friend, make sure you stop by one of the many retail and dining options. Retail stores include Eclectica Gallery, Something Blue, Ribbons and Rags, and Saratoga Design and Accessories. After you go shopping and work up an appetite, you can grab something to eat at one of Norton Commons’ excellent restaurants which include Tea Station Chinese Bistro, Karem’s Grille and Pub, and Gelato Gilberto. Norton Commons is located North of I-71 just off the Gene Snyder Freeway. Most of the community is located in Jefferson County, although it extends partially into Oldham County. Norton Commons was built to promote community living. Smaller lots, grid patterned streets, side walks, and front porches where neighbors can enjoy each other’s company, promote the neighborhood living. Norton Commons is all about convenience. Several restaurants, schools, dog parks, playgrounds, pools, and various other amenities are all within walking distance from your front door. This picture perfect “village” combines ease and tranquility to create a relaxing place to call home. For more information on Norton Commons and other events going on throughout the year in their community, go to the Norton Commons website at www.nortoncommons.com. To purchase tickets to the Norton Commons Charity Homes Celebration, go to http://www.nortoncommons.com/CharityHomeCelebration.html. Search for your perfect home at Norton Commons Homes for Sale the areas easiest to use search site. 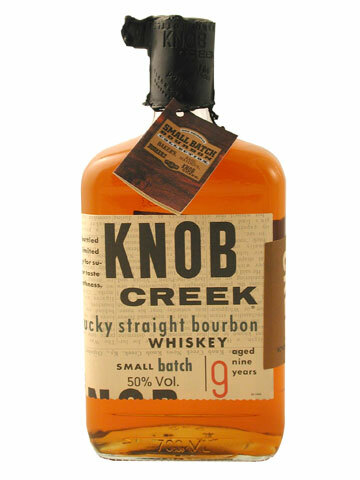 I find it rather appropriate that my birthday lies in the same month that holds the title of “National Bourbon Heritage Month.” I’m not saying that I’m a lush, but I realized when I went to college in Toronto and mouths dropped open around me when I ordered a bourbon on the rocks, that there was something unique in my bones. Here in Kentucky, it is not uncommon for a woman to enjoy herself a good bourbon after a long day, or hell, even in the middle of the day; my grandmother always had a bourbon in her hand. This is one of the many things I love about the place that I call home. Louisville takes great pride in it’s bourbon trail heritage. Everything from our architecture, hospitality, commerce, and restaurants can be linked with bourbon. Louisville is a bourbon loving city, and there is no time better to explore Louisville’s best bourbon hot spots than during National Bourbon Heritage Month. The celebration began in 2007 with Senator Jim Bunning of Kentucky, calling for recognition of bourbon as America’s “Native Spirit.” Bourbon has deep roots in family heritage and tradition in Kentucky and September is a time to celebrate and reflect on that legacy. Many local restaurants have caught on to National Bourbon Heritage Month and want to celebrate bourbon along with bourbon lovers of Louisville. 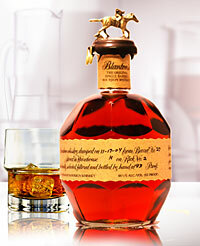 Many restaurants and bars will be having bourbon drink specials and special menu items featuring bourbon. Four Roses Bourbon has teamed with Impellizerris Pizza to create and feature a Kentucky Bourbon Hot Brown Pizza. Four Roses Yellow Bourbon will be the bourbon used in the new recipe, and it is supposed to be delicious. These are just a few of the great new specials you can take advantage of this month. Many of Louisville’s best restaurants will be celebrating National Bourbon Heritage Month so get out there and experience the limited time offers they have going on. Drink responsibly and remember to always keep with you your Southern charm and hospitality! A few weeks ago I wrote a blog on my newfound appreciation for Jazz music in our beloved city. I didn’t realize just how much Jazz was available in both local radio and live venues. It seems like more often then not, when I learn about a new hot topic going on in Louisville, so the saying goes, “when it rains it pours.“ My monthly Tyler Park Neighborhood Association newsletter came a few days ago, and what would you guess was right on the cover? This weekend marks the first of “Sundays in September” Tyler Park Jazz Festival. Each Sunday evening from 4:00pm to 6:00pm this September, residents of the Tyler Park neighborhood, the Highlands, and Jazz enthusiasts from all over Louisville will gather in the park to enjoy some free Jazz. This is the third year for the Jazz Festival, growing larger and more successful each year. This year, in addition to the music, special raffles will be drawn each concert night sponsored by local businesses, Kizito Cookies , Dittos, Baxter Avenue Theatres and Yoga on Baxter. The delicious and locally owned Comfy Cow Ice Cream will be available for purchase, so make sure you put your kids in comfy shoes to run off the sugar-high afterwards! For the safety and comfort of everyone at the concert, The Jazz Festival is a no pet event, and no alcohol is permitted at the park as well. The concert in the park is a good-old “bring your own lawn chair or blanket and listen to some music in the park” concert, so don’t forget your own seating. I will be at the Jazz concert nights, if not every night, most of them. I am looking forward to spending time with my community while hanging out with my family at the same time. Festivals and events like these are not only important for neighborhoods and communities, but enrich the lives of all involved. I am most excited for my oldest son, who is only two, but will remember bits and pieces of this time in his life, to be able to run around in the park with the other children from the neighborhood while some great live music is playing in the background. I remember times in my childhood like these where life seemed perfect. I can not recommend any higher to check out the “Sundays in September” Tyler Park Jazz Festival. If you have friends in the area you want to enjoy the concert with, or if you don’t know anyone, come out and meet some new people. You will not be disappointed, and at the very least you will get to hear some good music. I am excited to say that my new home’s bare walls may not have to be bare for much longer. If you are in need for some art for your home, or just like to peruse the local art fairs, you are in luck. This weekend marks the 4th annual Mellwood Art and Entertainment Center’s September Art Fair. The indoor and outdoor festival will feature over 200 local and regional artists and artisans. Whether you are looking for a large scale painting for an accent wall in your home, or a small trinket to remember the day, there will be something at the festival for everyone’s taste, needs, and budget. The Mellwood Arts and Entertainment Center is a sort of arts festival in itself. The center is open to the public year round, seven days a week. Originally the Fischer Meat Packing Company, the Mellwood Arts and Entertainment Center has since been renovated into a one-of-a-kind center for the arts community. The MAEC is a 360,000 square foot facility housing artists’ studio spaces, galleries, teaching studios, specialty stores, rehearsal spaces, and office spaces. In addition to all it’s in house offerings, the center has become well known for all it’s great events. Several art fairs, music concerts, and film festivals have been held at the Mellwood Arts and Entertainment Center and have helped it gain notoriety. The MAEC has three event rooms, making it available for weddings and special event rentals. Weddings in particular, have become very popular over the last several years at the center. The Mellwood Arts and Entertainments Center’s regular business hours are 9:00am-9:00pm, seven days a week. The market’s primary hours are Wednesday through Saturday 11:00am-4:00pm (shops, studios, and galleries may have additional hours). There are three galleries in the Mellwood Arts and Entertainment Center that are worth checking out. The first gallery is the newest addition to the center; Gallery M. Gallery M is postmodern in design and contemporary art fills the room. Gallery A and Gallery B come together in the Bridge Gallery. An exhibition space and thoroughfare, this space can be seen from the courtyard of the center as well. The bridge gallery connects Galleries A and B and in a unique walkway exhibit. The Pigment Gallery is the original gallery of the center, showcasing new artists every two months. Folk art and juried exhibits are often the featured art in the gallery. You can find me this weekend at the fair looking through the black and white photographs, or maybe the large scale oil paintings, or shoot, I probably need some sculptures too. Oh boy, I am looking forward to this weekend! The September Art Fair will be on this weekend, Saturday September 8th and Sunday September 9th on the grounds of the Center. The fair will run each day from 10:00am-6:00pm and is free to the public. For more information on the Mellwood Arts and Entertainment Center, directions to the center, or information on future events going on, go to mellwoodartscenter.com. Search all Louisville Homes for Sale on the regions easiest to use MLS search site - and it's free.